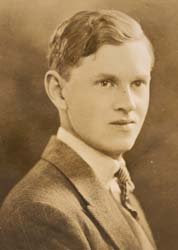 Scoop by Evelyn Waugh (pictured) is supposed to be one of the great journalism novels. I threatened to stop reading it several times, as I noted a couple of weeks back, but carried through. Now I've finished it and my opinion stands. Trash. The book is mostly about the tensions between the busy lives we lead and the quiet, meditative moments we seek amongst the madness. Should translate well to our era, but it doesn't. Waugh really is a poor man's F. Scott Fitzgerald. Or, as one reviewer in The Austin Chronicle surmised: "Evelyn Waugh was a cruel, faddish, reactionary snob -- a pattern, in other words, to succeeding English satirists like Martin Amis and Will Self." That's about right, although Self's Great Apes is a classic, humorous, and weird alternate take on the Planet of Apes.